Providing you the best range of friction stay hinges windows and windows friction stay hinges with effective & timely delivery. Our organization is engaged in providing an exclusive range of Friction Stay Hinges Windows to our valued clients. These products are manufactured using optimum quality raw material with defined industry standards by utilizing the advanced tools and technology. Offered products are widely used in the market due to longer service life, high strength, low maintenance and reasonable market price. Moreover, we assured delivery of products within a promised time frame to the clients. 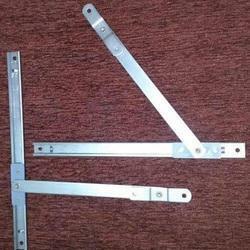 We provide the best kind of Friction Stay Hinges for Windows which are custom made and serve the purpose very well. It is made in a perfect design for windows and is available in great number of sizes and designs with perfect finish. The product is made of superior quality and is highly durable in nature. The Friction stay hinges for windows is perfectly suitable for new homes and old homes as well plans of renovating your home. Available in 8, 10, 12", 16", 20" and 24" top hung and 10", 12" and 16" for side hung applications. Manufactured in using high-grade SS304 / SS201 / SS430 (Ferretic stainless steel). The stays have been proven to a lifetime 30,000 cycle guarantee. 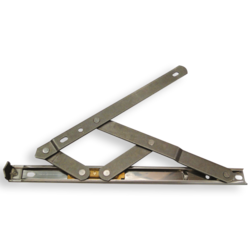 Looking for Friction Stay Hinges Windows ?